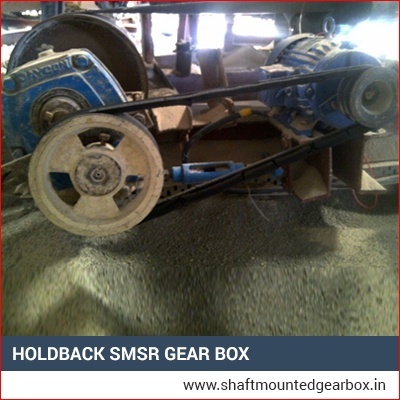 We are the leading Hold Back SMSR Gear Box, Shaft Mounted Gear manufacturer and supplier, which have an excellent characteristic of Hold back Arrangement so as to cause anti reverse of conveyor. With such an aspect, if the conveyor stops functioning due to any reason it halts thereafter and does not return. 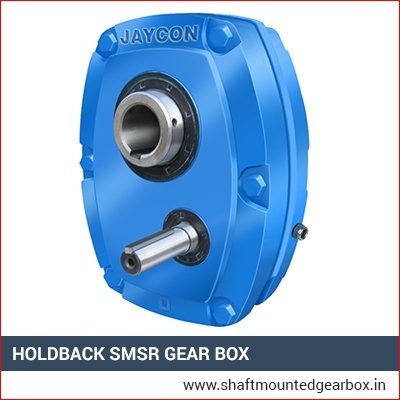 Our Hold Back SMSR Gear Box is the most effortless way of speed reduction by direct mounting on the driven shaft of the machinery. Apart from that, the direct mounting feature of our gear box aids in eliminates the foundations, requirement of couplings as well as layout problems. 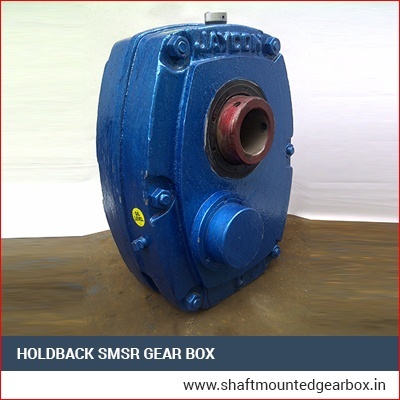 They also offer ideal and enduring alignment of gearbox in addition to allowing appropriate positioning of the motor. Our products are accessible in diverse models and numerous specifications at very affordable rates. They are widely applied in numerous types of industries. Our products are manufactured as per the industrial norms and are tested on numerous parameters so as to confirm reliable and efficient as well as durable functionality.